Aviation museums and other sites let us mere mortals approach the impossible. We get to see, and sometimes touch, historic artifacts that were designed to move at blazing fast speeds. For most of us, it's the closest we can come to catching a lightning bolt. Some of the most complicated and formerly top secret machines ever imagined have become monuments to motion in communities across America. CNN's Thom Patterson was recently asked which five aviation destinations he’d like to check off his bucket list. With IFA's competitive financing program, you can take advantage of our partnership with one of the most respected RV finance companies in the nation. You'll experience truly helpful service, with fast turnaround times, from professionals who understand how to get you into a RV loan that won't break your budget. Learn more and request a no-obligation online quote. Call it the Two Left Thumbs Syndrome. Most aircraft owners, averse to getting in over their head or screwing up big time, leave all maintenance to certified mechanics — even simple tasks that the FAA allows non-mechanics to perform. 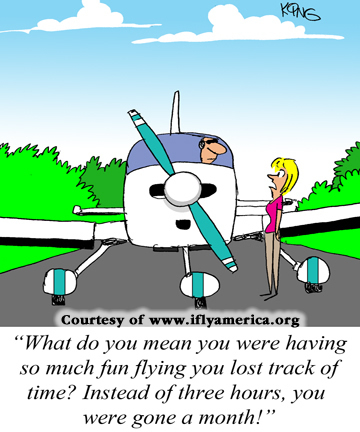 Experts agree: aircraft owners who studiously and routinely do some basic maintenance themselves, rather than waiting for the 100-hour or annual inspection, not only might save money in the long run by averting major repairs, but also reduce the aircraft's down time, fly more safely and learn valuable information about their airplane, which makes them better able to detect and troubleshoot problems that arise during the preflight. Learn more.